General Secretary of the People’s Progressive Party (PPP), Bharrat Jagdeo side-stepped questions on whether he thinks his preference for the party’s presidential candidacy can secure a majority of the 35 Executive Committee members. “That’s a subjective matter. I am not even sure a single one will support me. I am not sure. They are all bright people selected by our Congress and they all have their own minds and they’ll make their own decisions as to how they will vote on this matter or any other matter,” he told Demerara Waves Online News. Admitting that politics is about numbers, he deflected the question on whether he would be able to rally sufficient votes for his preferred candidate to clinch a majority. “Every member there will act in their own interest which I hope is the interest of our party and our supporters, not just a personal interest,” he added, but declined to say how many persons he could convince to support his interest. With Jagdeo himself out of the race because the Caribbean Court of Justice has ruled that Guyana’s constitution was properly amended to cater for the two presidential terms, he now has to support someone else. Names being touted include Dr. Frank Anthony, Irfan Ali, Dr. Vindhya Persaud and Attorneys-at-Law Charles Ramson Jr. and Anil Nandlall. 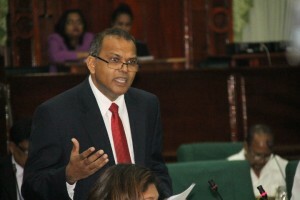 Some party insiders believe that Jagdeo will prefer Ali because he could easily manipulate him from behind the scenes. Apart from Ali, sources said the toss up could very well end being between Anthony and Nandlall. Anthony commands solid and unwavering support from the ‘old guard’ PPP including former President Donald Ramotar, Clement Rohee, Indra Chandarpal, Hydar Ally, and Dharamkumar Seeraj. 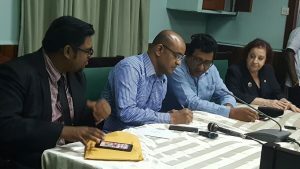 Sources said a faction of that party believes that the ideals of their party’s co-founders, Cheddi and Janet Jagan, have been eroded over time by swirling accusations of corruption and human rights violations. Jagdeo has in the past stated that it was time his Marxist-Leninist party shift away from ‘isms’ and focus on what is good for Guyana. Anthony, a former Minister of Culture, Youth and Sport, is generally regarded as a decent family man whose image is largely unblemished by claims of corruption. His detractors, however, see him as ‘soft’, reserved and less than outspoken on key national issues. Other veteran party members are, however, confident that Nandlall, a former Attorney General and Minister of Legal Affairs, will secure a majority of the 35 members to become the PPP’s presidential candidate. 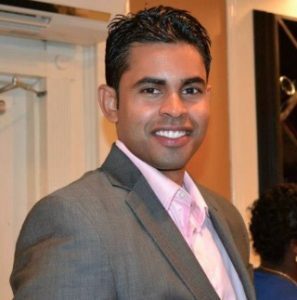 Nandlall has been observed as being involved in numerous events organised by the Ramotar-led PPP old guard that operates mainly out of Red House, home of the Cheddi Jagan Research Centre. Political analysts said if the race between Anthony and Nandlall becomes delicately poised, it could in either of the candidates favour. Nandlall has maintained a consistently high public profile as a result of his numerous legal representations for the party and party supporters. However, he is no stranger to controversy as he has been accused of theft of Commonwealth Law reports, a charge he has denied and has vowed to prove himself innocent before the court. The PPP General Secretary has already said he expects the David Granger-led administration to level concocted criminal charges against his party’s candidates in an effort to block them from contesting the elections in 2020. 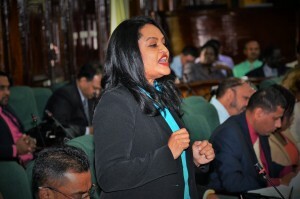 Dr. Persaud’s name has also been touted as a silent powerhouse in the PPP because she is well respected in the Hindu community from which her party draws a large percentage of its support. The daughter of late iconic pandit and longtime PPP member, she is said to be an excellent fund raiser. PPP sources in both camps have little regard for Ramson Jr; saying he is viewed as aloof and has done little party work to earn the presidential candidacy.